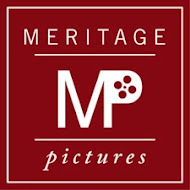 As a working film producer, I have vast experience in the making of independent feature films. Producing a film is a mighty task and much of my knowledge has been accrued over years of trial and error. I have come up with many strategies for successful indie filmmaking and I'm happy to consult on your film if you would like to learn what I know. It will cut out much of the guesswork on how to make a movie. I can provide insights into what it takes and prepare you for embarking on your film at any phase of a film's life. If a script has the above elements, I know I can feel comfortable introducing it to financiers and cast and crew and spend the rest of my life marketing the project to distributors and audiences worldwide. So in addition to being able to provide you with an overview on how to make an independent feature film, I can read your script and provide a producer's perspective on your script. Email me (Jane Kelly Kosek) at allaboutindiefilmmaking@gmail.com if you are interested in getting a working producer's perspective on your script and/or how to make an indie film. My perspective is my own. And my rates are very reasonable too. I am keeping my rates low as I would like to make this service affordable for my readers who tend to be low budget independent filmmakers. If you would like to pick my brain about how to make a movie or have your script evaluated by a working film producer (I have produced over a dozen short and feature-length projects), please email me at allaboutindiefilmmaking@gmail.com. Do you only do consultations on scripts? Or finished products as well? Do you only consult on scripts of finished products as well? I'd be happy to consult on a finished product! Mrs. Kosek. I just had the pleasure of watching the short "Palin Clothes" on youtube. I am trying to get in touch with you or the film maker to inquire about showing the film in a class. If you could direct me on how to contact you or someone in your company I would very much appreciate it. Please email me at allaboutindiefilmmaking@gmail.com. Thanks!